Hawaii Forest and Trail Ecotours and Big Island Activities Discount bring you on exciting Mauna Kea Tours in Hilo! Hawaii Forest and Trail offers visitors some of the most popular Hawaii Activities around and gives you the chance to be informed and inspired. Mauna Kea Tours in Hilo bring you and your family or friends to discover two unique habitats: the sub-alpine dry forest of Puu Laau on Mauna Kea and the cloud mist Kipuka rainforest on Mauna Loa. 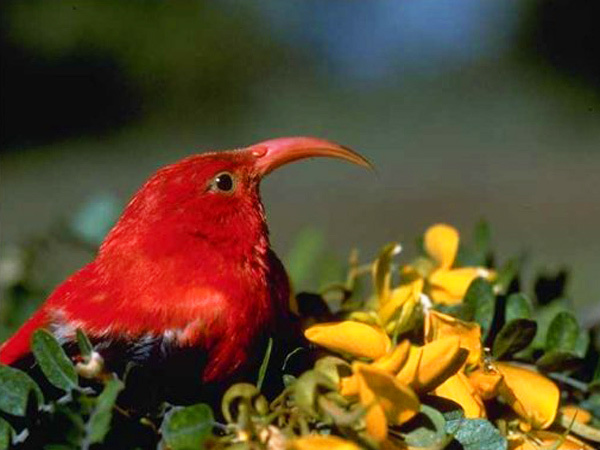 Hawaiian Forest and Trail Ecotours presents awe-inspiring sights and experiences. There is a Hawaiian proverb that explains that “there is life in the rain.” When you go on your Hawaii Forest and Trail adventure, you’ll see where that saying comes from! Rain provides the Big Island with the abundant waterfalls and resplendent countryside of Kohala. In its eternal cycle, the rain and water continue to mold and shape a stunning landscape of streams, cliffs and valleys for you and your loved ones to enjoy during Hawaii Forest and Trail Ecotours. When you book your Hawaii Forest and Trail tours through Big Island Activities Discount, you’re sure to save! The Mauna Kea Tour in Hilo starts out with a fantastic drive of change and contrast from the dry resort area to the thriving, green countryside of Kohala. Along the journey, you’ll travel up to the Kohala/Kona coastline over lava flows from Mauna Kea, Mauna Loa, and the Kohala Mountains. Often, you’ll be able to see splashing spinner dolphins from the shoreline, and in the winter, you may be able to spot breaching humpback whales. You'll go on to pass through the charming plantation towns of Hawi and Kapa'au, the location of the life-sized statue of King Kamahameha the First. At the end of the road, your group will enjoy a short rest stop at the historic Kohala Mule Station where you can take in one of the best coastal views in all of Hawaii. Then the real excitement and fun starts with a short and bumpy four-wheel drive on an ancient cave road over secluded ranchland to the trailhead. These Hawaii Activities give you the chance to enjoy the off road experience Hawaiian Forest and Trail Ecotours have to offer. Discover the isolated Pololu Valley located on the northern tip of the island on board Hawaii Forest and Trail’s off-road Pinzgauer vehicles. Observe the land-sculpting and life-giving power of water as your tour guide leads you through an altering landscape of towering ocean cliffs, rushing streams, and cascading waterfalls. You’ll be able to see how people through history have thrived off the power of water, from the fast-moving irrigation ditches of Kohala sugar plantations to the terraced taro lo’i of Hawaiians. During these Hawaii Activities, you’ll have time to kick off your shoes and take a refreshing dip in a crystal clear mountain pool! Morning and afternoon Mauna Kea Tours in Hilo are available daily from the notable Kohala Mule Station at Pololu Valley. These Hawaii Activities are available for participants ages 6 and up. When you’re booking your Hawaii Activities through Big Island Activities Discount, be sure to ask about Mauna Kea Tours in Hilo through Hawaii Forest and Trail Ecotours.